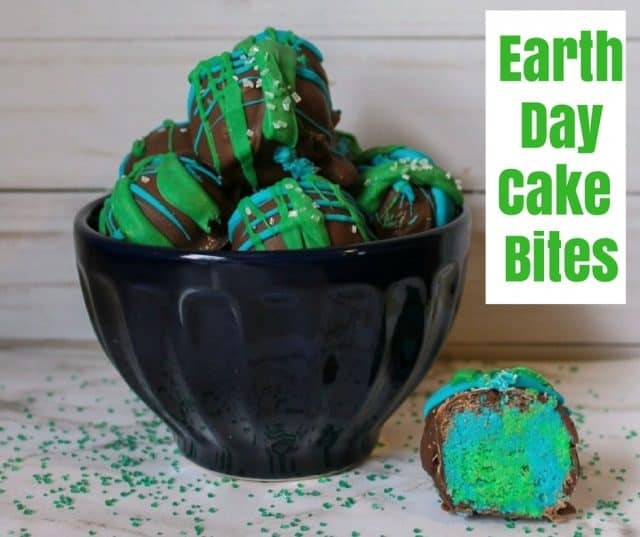 Celebrate our Planet on April 22nd with these adorable Earth Day Cake Bites. Divide into two bowls and tint one green and one blue. 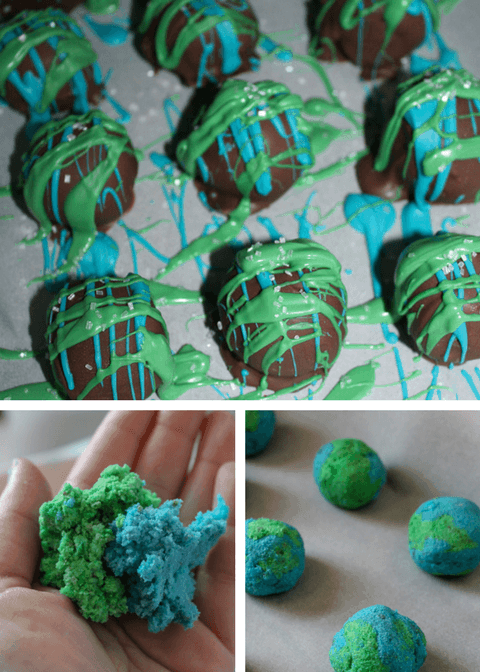 Divide the frosting into two bowls and tint one green and one blue. Add in the frosting. I use a traditional creamy buttercream frosting. I haven’t tried making it with the whipped frosting, so I can’t tell you how it affects the texture. Mix together thoroughly. In a small bowl, melt the brown candy melts according to the package directions. Dip one of your cake pops into the candy coating and cover. Place back into the freezer to set. Melt the green and blue candy melts into two small bowls. Drizzle the colors over the cake balls. If desired, sprinkle a few crystal sprinkles on top. Place again in the freezer to set.